Got my preordered book from amazon.de yesterday, it's the British edition by Canongate. All I can say so far: It's beautiful. However, I've found an error in the lyric version of 'A Street'. It ends with the words 'There may be wine and roses' - I'm sure this is a mistake. 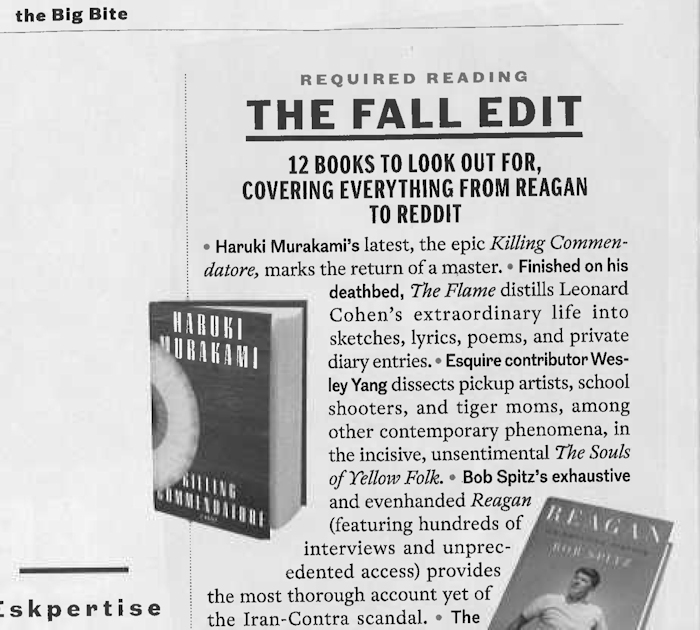 We show here this feature of THE FLAME in the October issue of Esquire. The book is "required reading" for fall 2018. Adrienne Westerfeld has selected the books. I just received my copy of THE FLAME in the British edition; the quality is very disappointing: the paper is too thin, the font is much too small, and on the whole, there is a feeling of a second-rate job, especially when compared with Book of Longing. Since the book is divided into several parts, a table of contents could have been expected but none is given. Following the title page there is a page with an illustration and the title THE FLAME again, but this should have come after the Foreword and Editorial Note, not before them. These are perhaps small things but they add to the feeling that it could and should have been done better. I guess I’ll have to ignore all this and focus on the contents, but it is a shame. Much to my surprise I received the book today. Ordered it over a year ago (august 2017) and had forgotten about it since it seemed to be "illegal". Apparently they have sorted out the right issues? Hugo: where did you buy it (who delivered it)? This seems to be some kind of mystery. Also Finnish libraries have recently got copies. I got my copy from Waterstones, probably the UK’s biggest bookseller after Amazon, last November. 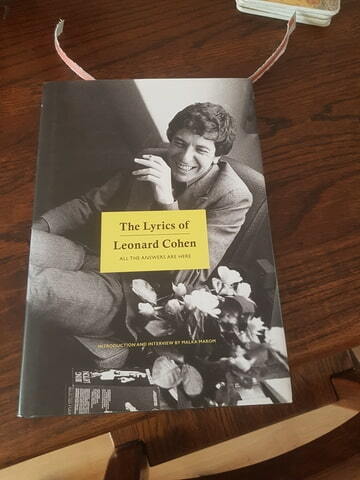 I put out of your mind realizing that Leonard was once in the market respiration air some location. Communicating and imparting his approaches of existence to different men and women. Abiding. I've a way this final "hearth" will by detailed ways deliver me in the direction of what used to be as soon as everlasting in him. He seemed as though it might have an executed an extremely good stage of awareness towards an notable completion.